Own your own piece of paradise. 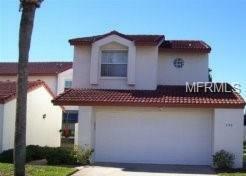 This 3 bedroom, 2.5 bath townhome is located across the street from the ocean. Walk to the beach or to the Halifax river. Low maintenance living so you can enjoy the beautiful Florida Weather. This home features updatedkitchen and baths and hardwood flooring in the living room. The floor plan is a perfect retreat offering spacious bedrooms upstairs and living space downstairs, with a half bath for convenience. The attached 2 car garage allows for plenty of storage. The communityoffers a beautiful heated pool and clubhouse. Shopping and dining opportunities are located within walking distance.